Hi, its me, Marthe. I am the wearer of all hats- owner, crafter, blogger and chief bottle washer at The Fairy Garden. The Fairy Garden is a Canadian online store for all miniature garden enthusiasts. Its quite new and I’d like to tell you how it came to be. I’ve had a life long affair with gardening and in 2008 I was happy to be able to purchase an old but run down cottage on the shores of Lake Erie in Kingsville, Ontario that still showed evidence of what must have been beautiful and extensive gardens. The place is crawling with ivy and many garden tiers are still somewhat in place on a long slope down to the lake. Very wise old trees covered in hairy vines with lots of nooks in the bases and roots surround the cottage. They look as if a fairy may very well already be in residence. 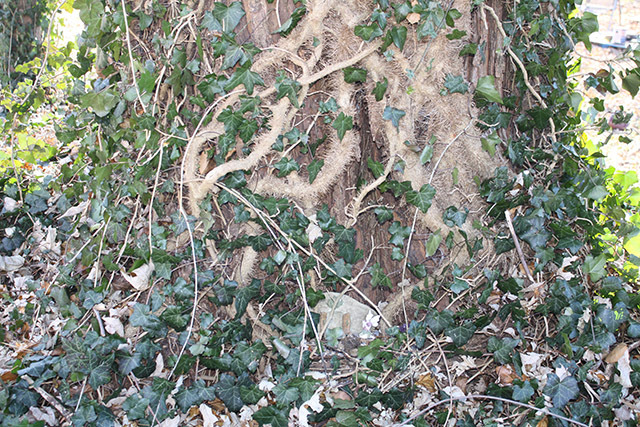 An old block wall covered in ivy stands by the entrance way. Everything about the place gives it an enchanted garden atmosphere. I discovered fairy gardening when looking for ideas for restoring the path and the gardens going down to the lake. I also discovered Pinterest and all of the wonders of fairy gardens to be found there and an obsession was born! Previously I owned and operated an Old Fashioned Country Store for ten years which I sold shortly after buying my fairy cottage. 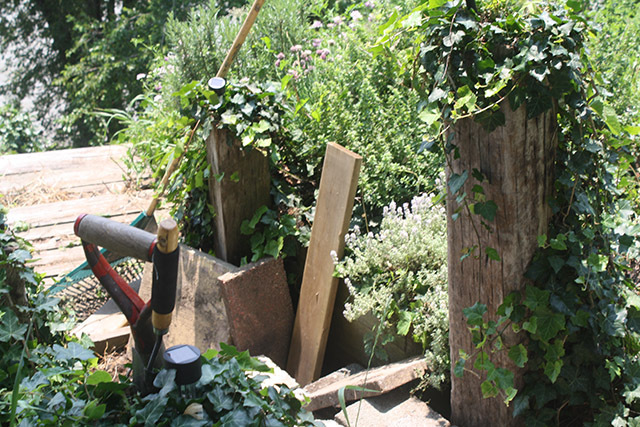 As I gradually restored the cottage itself to a more or less livable condition I was able to turn my attention to the gardens and started on my fairy garden adventure. I did miss the old store though. Crafting and hunting down fairy garden ideas and miniature fairy houses and fairy furniture for my own garden areas led me to the realization that there were few resources to be found in Canada. So, my new fairy gardening obsession and my past retail experience coalesced into what has become my new venture. Blogging is supposed to be good for business promotion but I am doing it really to have a more personal experience with other fairy garden lovers than I can as strictly a retailer. I believe that miniature gardening and fairy gardening are essentially do it yourself activities. Sure its great to find fun products to enhance the enjoyment of our hobby. But a lot of the fun for me comes from DIY projects I dream up or hear about and try. I suspect it’s the same with you. This is a place for me to share these craft adventures and hopefully a place that you will share with me. I hope you enjoy my blog and feel free to share what you find here with others. On my store web site you may also find inspiration, and perhaps an accessories for your own fairy garden. As a new venture I am still putting product in daily and I am always on the hunt for great new products, ideas and fairy garden friends. You will be sure to see many updates here and at the store over the next few months as I build my DIY resources and expand my product line. I’d love to hear from you with any suggestions you may have. Finally found an on-line Canadian fairy garden shop. Great stuff, Marthe. I wanted everything. Just starting my terrarium obsession, and hoping to be successful at it.